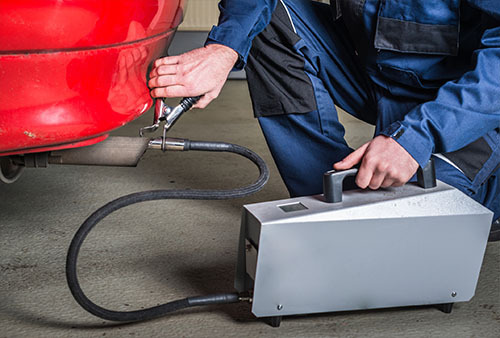 The Pennsylvania Department of Transportation has developed a web-based training program/test for technicians to become certified in the Pennsylvania Vehicle Emissions Inspection and Maintenance (I/M) Program. You must schedule an appointment in order to take the test. Cost: $55 for certification exam and $45 for re-certification exam at the time of the registration prior to taking the exam. It is payable by check, MasterCard, Visa or Discover. Applicants are required to show a valid Pennsylvania driver's license prior to taking the test. Please call 740-0663 to schedule a test time.